Better Call Bill Warner Investigations Sarasota Fl: 9/11 Hijack Pilots Mohamed Atta, Marwan al-Shehhi and Ziad Jarrah's Support Network In Sarasota Fl Includes Esam Ghazzawi, Abdulaziz al-Hijji and Muneer Arafat. 9/11 Hijack Pilots Mohamed Atta, Marwan al-Shehhi and Ziad Jarrah's Support Network In Sarasota Fl Includes Esam Ghazzawi, Abdulaziz al-Hijji and Muneer Arafat. SARASOTA Fl was terror central during the year 2000 with known Al-Qaeda operatives repeatedly visiting the home of wealthy Saudi businessman Esam Ghazzawi and his son-in law Abdulaziz al-Hijji at 4224 Escondito Circle Sarasota Fl who appear to have provided a support network and base of operations. 9/11 Hijack Pilot Mohamed Atta shows up in the Sarasota Fl area in the month of June 2000, Atta and his partner in mass murder Marwan al-Shehhi set up shop in a small pink house about 10 miles south of Sarasota on West Laurel Rd in Nokomis Fl. 9/11 hijack pilots Atta and Shehhi had not settled on where they would obtain their flight training when they arrived in Florida. In contrast, Ziad Jarrah, his photo above, had already arranged to attend the Florida Flight Training Center (FFTC) in Venice, Florida. Jarrah arrived in Newark on June 27, 2000 and then flew to Sarasota. He immediately began the private pilot program at FFTC, intending to get a multi-engine license. Jarrah moved in with some of the flight instructors affiliated with his school and bought a car in Sarasota Fl. FBI Report Reveals Sarasota Saudi Family’s Involvement with Local Support Network For 9/11 Terrorists Mohamed Atta, Ziad Jarrah and Marwan Al-Shehhi in 2000. Wealthy Saudi businessman Esam Ghazzawi and his son-in law Abdulaziz al-Hijji at 4224 Escondito Circle Sarasota Fl had multiple visits by 9/11 terror pilots Mohamed Atta, Ziad Jarrah, Marwan Al-Shehhi and most wanted Al-Qaeda leader Adnan El-Shukrijumah during the time period of June 2000 to August of 2001 prior to the 9/11/2001 terror attack on the USA. 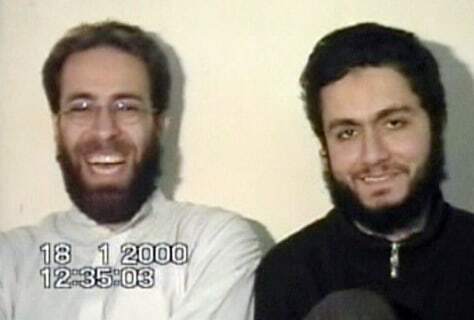 Jarrah and Mohamed Atta, photos above, were 2 of the 9/11 hijackers who purchased a vehicle in the USA. In mid-September 2000, Atta and Shehhi applied to change their immigration status from tourist to student, stating their intention to study at Huffman until September 1, 2001. In late September 2000, they decided to enroll at Jones Aviation in Sarasota, Florida, about 20 miles north of Venice. In early October 2000, they took the Stage I exam for instruments rating at Jones Aviation in Sarasota and failed. Very upset, they said they were in a hurry because jobs awaited them at home. Atta and Shehhi then returned to Huffman Aviation in Venice Fl. The small house on W. Laurel Rd in Nokomis Fl that Mohamed Atta and Marwan Al-Shehhi rented is only a short 15 min ride north on Rte 41 to the home of wealthy Saudi businessman Esam Ghazzawi and his son-in law Abdulaziz al-Hijji at 4224 Escondito Cir Sarasota FL, Esam Ghazzawi and his son-in law Abdulaziz al-Hijji were on the terror watch list. According to security people at the Prestancia gated community in Sarasota the license plates of vehicles owned by Mohamed Atta with Fl Tag D79DDV, Marwan Al-Shehhi, Ziad Jarrah with Fl Tag T92QBT, Wissam Hammoud and Adnan El-Shukrijumah had been to 4224 Escondito Circle Prior to 9/11/2001 attack. Al-Qaeda operative Adnan El-Shukrijumah had been living with his parents in Miramar Fl and would have had to drive 210 miles one way, 3 hour trip, to to get to the home of wealthy Saudi businessman Esam Ghazzawi and his son-in law Abdulaziz al-Hijji at 4224 Escondito Cir Sarasota FL, which indicates to me that he most likely stayed with the Saudi Family in Prestancia or with Mohamed Atta and Marwan Al-Shehhi at the small house on W. Laurel Rd in Nokomis Fl that they rented. Ziad Jarrah pays for phone number 941-960-0434 from Alltell Communications in Sarasota Fl most likely from cell phone store owner Wissam Hammoud. Jarrah opened a bank account at West Coast Guaranty (First National), in Sarasota, Florida, with a $2,000 cash deposit. Ziad Jarrah buys a 1990 Mitsubishi Eclipse, Fl tag T92QBT in Sarasota Fl in November 2000, he sells this car on the 6th of September 2001. Ziad Jarrah’s name appears on a lease agreement for Falls of Venice, apt. 106, 1001 Center Rd, Venice, Fl. The reason I go into Mohamed Atta and Ziad Jarrah’s car details is related to the recent FOX NEWS article about 9/11 Hijackers Relied on Domestic Support Network in USA. Let’s get real here, the Sarasota Fl area was the base of operations for 9/11 Al-Qaeda Hijack Pilots Mohamed Atta, Marwan al-Shehhi and Ziad Jarrah, they had a support network entrenched in the area when Al-Qaeda linked Imam Muneer Arafat shows up at the Sarasota-Bradenton Islamic Center (Mosque) in March 2000 just 3 months before the Hijackers show up in the Sarasota area in June of 2000. Within 30 days of Mohamed Atta arriving in the Sarasota area, he purchased a 1989 red Pontiac Grand AM from a Venice Fl car dealer and had the vehicle registered with the Sarasota County Tag office with plate number D79DDV. The 1989 red Pontiac Grand AM that Mohamed Atta purchased on July 17, 2000 had 62,696 miles on it and had VIN #1G2WKI4W7KF262689. Mohamed Atta did NOT have a Florida drivers license when he purchased the car in Venice Fl, Atta obtained a Florida drivers license on May 2nd, 2001, the FL drivers license number was A300540683210, see info above. 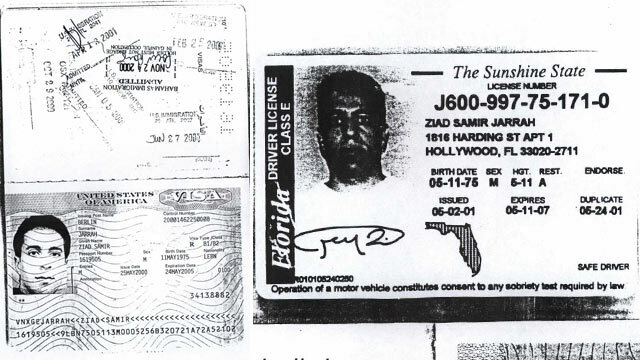 May 2 2001, Mohamed Atta and Ziad Jarrah were together visiting a Department of Motor Vehicles office in Lauderdale Lakes, Florida, to get Florida driver’s licenses. Sarasota Cell phone store owner Wissam Hammoud appears to have knowledge of terrorist activity prior to 9/11.Terrorist ringleader Mohamed Atta used a Verizon cell phone with a Sarasota cell phone number 941-685-0468, purchased and later serviced in Sarasota. Mohamed Atta aka Mohamed Mohamed el-Amir Awad el-Sayed Atta aka Mohamed el-Sayed. See Jan 20, 2003 article about Sarasota Imam Muneer Arafat in the St. Louis Post-Dispatch, “U.S. Looks For Local Ties, Sources Say” published just after he was arrested on Immigration charges by ICE agents in November 2002. Sarasota Imam Muneer Arafat had been the roommate of Al-Qaeda procurement terrorist Ziyad Sadaqa aka Ziyad Khaleel who purchased a satellite phone in the USA and had it shipped to Osama bin-Laden for use in the 1998 Embassy bombings in Africa. FOX NEWS…Declassified documents, exclusive interviews and phone and banking records present an overwhelming case that the 9/11 hijackers relied heavily on a domestic support network in the USA to facilitate the plot (Sarasota Fl). Former Sen. Bob Graham, D-Fla., who led the first congressional investigation into the 9/11 attacks in 2002, was asked by the Fox News Specials Unit if he believes the hijackers’ support network remains in place today because it was never fully identified or disrupted after the attacks. Sarasota Imam Muneer Arafat Raised Funds For Palestinian Suicide Bomber Families at ISSB and Testified at Trial That He Was Member Of Jihad Group in 2001.Imam Muneer Arafat’s former mosque in Sarasota raised money for martyrs families – hosted terrorists Sami Al Arian, Mazen Al Najjar and Hussam Jubara. Muneer Arafat, revealed in court that he declined Sami Al Arian’s invitation to join Palestinian Islamic Jihad because he was a member of a different terrorist group! June 8th, 2001 – Br, Toufick Etyem. June 15th, 2001 – Br, Mazin Al-Najjar. June 22nd, 2001 – Mohammad Khaled. June 29th, 2001 – Br, Tarek El-Shafi. Three months after Mazin al-Najjar spoke at ISSB, where Muneer Arafat was the Imam at the Islamic Society of Sarasota and Bradenton (ISSB) Mosque, he was arrested and linked to terrorist group Palestinian Islamic Jihad and finally deported. Sarasota Imam Muneer Arafat admitting lying in the past on resumes, job applications and a voter registration form. He has falsely claimed to be an American citizen, and was deported at one point for over staying his visa. He also acknowledged he was detained by immigration officials in Sarasota in November 2002, he was also arrested by the Sarasota Sheriff’s Dept in May of 2003. Muneer Arafat also testified in open court that the government (FBI) has paid him a total of $35,000 since June of 2003 to cooperate with them in an investigation of Muslim Used cars dealers sending vehicles to the Middle East in support of terrorism. Labels: 9/11 Hijack Pilots Mohamed Atta Marwan al-Shehhi and Ziad Jarrah's Support Network In Sarasota Fl Includes Esam Ghazzawi Abdulaziz al-Hijji and Muneer Arafat.